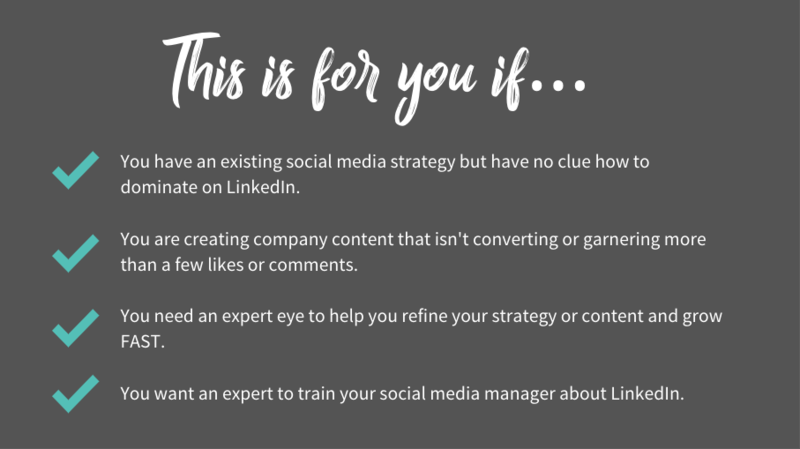 Your business is leaving thousands…millions…on the table by not using LinkedIn. LinkedIn is the biggest business opportunity available today, with over 600 MILLION active users, and 2 new members joining every SECOND. …and chances are, you’re probably not even using it as well as you could be. Are you seriously willing to ignore the largest professional platform in the world, and let your competition dominate the conversation about your industry? Take the reins and get the training your company needs with a world class LinkedIn expert that has garnered millions of views and knows how to help your brand win. STEP 2: I know your sales team is busy, which is why I create video reviews for each team member with suggestions and recommendations to take their LinkedIn profiles to an all-star level. STEP 3: Two weeks after delivery of the video reviews, we book a one hour group call to review the changes and make sure that your team is set up for success on LinkedIn! 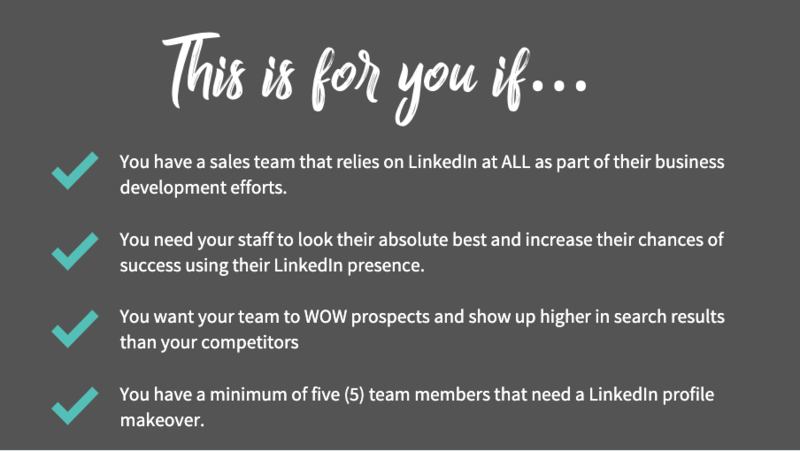 An efficient way of bringing your team up to all star level on linkedin, without too much disruption!